Two PhD positions (3 years each) are available at the University of Bologna (Department of Philosophy and Communication studies) within the ERC project (Consolidator Grant): “Alchemy in the Making: From ancient Babylonia via Graeco-Roman Egypt into the Byzantine, Syriac and Arabic traditions (1500 BCE -1000 AD)”, Acronym: AlchemEast. The AlchemEast project is devoted to the study of alchemical theories and practices as they appeared and developed in distinct, albeit contiguous (both chronologically and geographically) areas: Graeco-Roman Egypt, Byzantium, and the Near East, from Ancient Babylonian Times to the early Islamic Period. Applicants are expected to propose research projects dealing with the ancient alchemical tradition. Proposals may focus on the analysis of a specific set of primary sources — depending on the historical period on which the applicant prefers to focus on, primary sources may include alchemical writings in Akkadian, Greek, Syriac or Arabic. The proposals may also focus on a wider and cross-cutting analysis of topics connected to important issues pertaining to the ancient alchemical science and its relations with close fields, such as natural philosophy and medicine. The doctoral research shall result either in editions and translations of ancient alchemical writings or in monographs focused on central issues of the ancient history of alchemy. By following the link “PHD PROGRAMME TABLE” (at the top of the webpage), you will find the full description of the programme, with reference to the 2 scholarships specifically linked to the AlchemEast project. This entry was posted in Scholarships and tagged fellowship, fellowships, phd, phd funding, PhD position, research fellowship, Scholarship, Scholarships, University of Bologna on May 2, 2018 by roisingrace. Applications are invited for a fully funded doctoral scholarship in Spanish art-historical studies, commencing at The Courtauld Institute in London in the academic year 2018/19. The Courtauld Institute is one of the world’s leading centres for art-historical research, and the scholarship will cover The Courtauld’s Home/EU/International tuition fees for three years (or four if required), together with an annual stipend of £12,000 for living costs and travel. Applicants must demonstrate that Spanish art, architecture or visual culture forms the focus of their proposed research topic, and are advised to contact prospective supervisors to discuss research proposals at least six weeks before the application deadline of 8 January 2018, but preferably earlier. As a minimum, by the time they begin their doctoral studies applicants are expected to hold a postgraduate qualification such as an MA or equivalent and should have at least reading knowledge in Spanish or Catalan. In the first instance applicants should send prospective supervisors a CV, sample of written work in English, and a 300 word proposal. In assessing applications the scholarship committee will consider the extent to which the research proposal falls under the supervisor’s areas of research expertise. This entry was posted in Funding and scholarships and tagged art history, ARTES, CEEH, medieval, PhDs, Scholarships, Spain, Tom Nickson on October 7, 2016 by tomnickson2013. 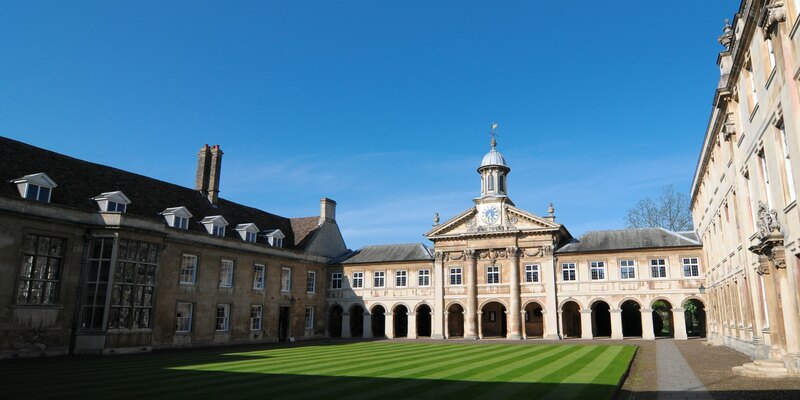 The Governing Body of Emmanuel College invites applications for three stipendiary Research Fellowships in any subject; all three Fellowships are for a three-year fixed term, and will commence on 1 October, 2015. Applications will be accepted from any graduate of a university within or outside the United Kingdom. Eligibility is restricted to those for whom the Research Fellowship would be their first substantial paid academic or research appointment (other than as a doctoral student). These Fellowships are intended for outstanding researchers early in their careers: successful candidates are likely to be in the latter stages of their research leading to a PhD degree, or post-doctoral researchers who have been awarded their PhD degree after 1 October, 2013. Candidates should note that these Fellowships are extremely competitive. Applications must be submitted online and received by 17:00 BST on Thursday 2nd October, 2014. Incomplete or late applications will NOT be accepted after this date. This entry was posted in Funding and scholarships, Uncategorized and tagged Emmanuel College, Funding, research fellowship, Scholarships, University of Cambridge on September 9, 2014 by michaelazoeschg. The V&A and RCA History of Design MA Programme are delighted to announce a selection of new scholarships and prizes for candidates applying to study in 2014/15. V&A/RCA History of Design is a two-year full-time MA programme, based at both the Victoria and Albert Museum and the Royal College of Art, and offers a unique platform for study in three specialist areas: Renaissance and Early Modern; Modern and Contemporary; and Asian, Early Modern to Contemporary. MPhil and PhD are also offered, as part of the Doctoral Studies Programme in the RCA School of Humanities. The programme specialises in object-focused scholarship ranging across architecture and interior design, fashion and textiles, furniture and product design, ceramics, metalwork, glass, sculpture, prints, drawings and digital media. Uniquely, students have direct access to the unrivalled collections and expertise of the V&A and to the highly specialised art and design practices of the RCA. It was the first MA programme in the world to pioneer Renaissance and Early Modern design histories, and to establish an Asian Design History specialism. The Bonita Trust Scholarship in History of Design. For Indian national students, the Bonita Trust Scholarship in History of Design covers full overseas fees for the two years of the MA and also includes a maintenance grant of up to 3,100 GBP per year. The Bonita Trust is a philanthropic trust established under Gibraltar law in 2004, with its vision to help communities address some of the important health and education challenges facing them, leveraging cutting edge technologies and Internet-based solutions. Since its inception Bonita has committed over £15 million pounds to both communal based and cross-border projects in the areas of health, medical research, human community services, education, culture and heritage, female entrepreneurship and disaster relief. The New Robert H. Smith Renaissance Sculpture in Context Prize (UK/EU only). For students applying to the Renaissance and Early Modern specialism the Robert H. Smith Renaissance Sculpture in Context Prize is offered to a student who intends to undertake research in any aspect of Renaissance sculpture and its broad cultural and social context. The award offers a contribution towards the fees of 3,000 GBP a year for the two years of the MA. The Friends of the V&A Scholarship (UK/EU only). The Friends of the V&A Scholarship is offered to a student applying from the UK or EU who intends to work in a museum after graduating from the V&A/RCA History of Design MA programme. The Scholarship covers fees for the two years of the MA and also includes a maintenance grant of up to 3,000 GBP per year. The Oliver Ford Trust Scholarship (UK/EU only). The Oliver Ford Trust Scholarship is offered to a student applying from the UK or EU who intends to undertake research into an aspect of the design of the domestic interior. The Scholarship covers fees for the two years of the MA and also includes a maintenance grant of up to 3,000 GBP per year. The V&A Fashion History Scholarship (UK/EU only). The V&A Fashion History Scholarship is offered to a student applying from the UK or EU who intends to undertake research in any aspect of fashion history. The Scholarship covers fees for the two years of the MA. The scholarships and awards are given on a competitive basis, judged at interview. Students should indicate their interest in and suitability for the Awards on their application form. Interviews will be held in February and March 2014.Home/EU fees for 2014/15 will be 9,000 GBP per annum. Overseas fees will be 27,900 GBP per annum. The College is designated as an eligible institution for a Guaranteed Student Loan under the new Direct Loan Program. Further details on the Programme, entry requirements, College fees and funding can be found at http://www.rca.ac.uk/admissions. For more information please contact the programme administrator: hod@rca.ac.uk. This entry was posted in Funding and scholarships and tagged History of Design, Masters programme, Royal College of Art, Scholarships, Victorian & Albert Museum on February 26, 2014 by modonnellmorales.